On the coldest day of winter, finding out that your furnace or heater is not working makes for a reasonably unpleasant surprise. After many years of use, all furnaces and heaters need to be replaced, but before this occurs heaters often encounter problems that can be resolved through minor repairs. 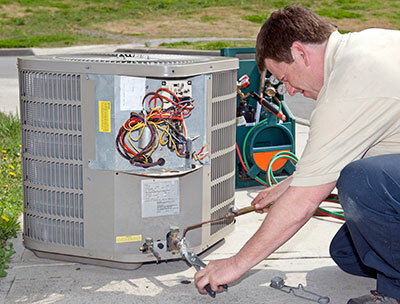 ​At Boerne Air Conditioning Experts, we serviced a wide variety of commercial and residential heaters facing a long list of problems. Luckily after years of experience, we’ve learned many of the common furnace problems, and we’ve been able to take proactive measure to prevent them—or in some cases, repair them as needed. One of the most common problems we see with our customers central heating systems is a heater that is blowing cold air. If your furnace is blowing cold air, the first thing you should do is check your thermostat and make sure it’s set to the correct temperature. You can try increasing the temperature a notch to see if there’s a noticeable difference. Then, make sure your thermostat is set to “auto” instead of “fan on,” otherwise your fan will run without blowing any heat. If you’ve checked your thermostat and verified that it’s indeed on the right setting, then your issue may be one of many, including a dirty air filter, leaky ductwork, pilot light issues, or lack of fuel. 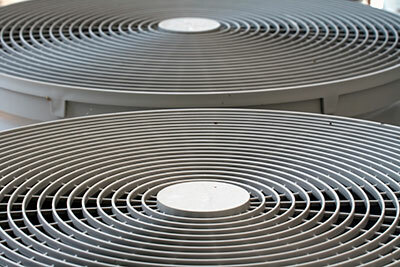 When air filters become dirty over time, they need to be cleaned or replaced. If not, then dirt and debris will cause inefficiency in your heater’s performance. Additionally, leaky ductwork is often difficult to diagnose, but if left unresolved it can end up becoming a major problem to remedy. If your pilot light won’t light, you need to make sure gas is flowing to it. Regardless of whether you have a gas, electric, or oil furnace, your system also needs fuel to function. Another problem that often occurs, as we briefly touched on, is when your heater will not light or stay lit. For those of you with a newer furnace, you may not have a pilot light and instead you system may use electronic ignition. These newer system have a flame system to make sure that gas isn’t flowing without the heater being on. Often, the sensor may get dirty and need to be replaced. A faulty ignition or pilot could make it difficult to heat a home or commercial space. Thermocouple problems, drafts or clogs in the appliance may result in an unlit pilot light. A heater that won’t shut off is a problem we also frequently encounter. If your furnace won’t stop running and is blowing hot air, you should first check your thermostat to ensure that it is set to “auto” instead of “on.” When a thermostat is set to “auto,” it will shut off when it reaches a certain temperature. If your heater still won’t stop running, your thermostat could be broken or miswired, or your furnace blower may be malfunctioning. Be sure to look at your thermostat’s wires to double check that everything is plugged in correctly. Then, reset your thermostat to factory setting and attempt to run your system again. If this doesn’t resolve the problem, you may need to replace your thermostat. If a replacement thermostat doesn’t do the trick, then your issue is most likely linked to your blower. If certain parts of your house are not heating while others are, you could have a problem with dirty air filters or inadequate ductwork. It’s best to check your air filters for dust and debris, and change them regularly. If your air filters are clean, you should have your ducts inspected by one of our technicians at a Boerne Air Conditioning Experts. We’ve also serviced customers who experienced the problem of their heater smelling like it was burning. This burnt smell, or a heater that’s actually smoking, is a clear sign that there is an issue. If you experience this with your own furnace, shut it off and unplug it immediately. Leaving your heater on under these conditions could be very hazardous. In some cases, an unpleasant smell is just a sign of a dirty air filter or dust buildup in the furnace. In any situation, try not to panic and take action immediately to resolve the problem. After unplugging your heat, inspect your system for dust or blockage, and clean the system if needed. Replace or cleaning your air filters is also a wise idea under these circumstances. If the problem continues, don’t hesitate to contact our team at Boerne Air Conditioning Experts.